We hear about school shootings around the US and are angry and sad for the pain it causes. When the threat comes directly into our own community (for me, less than a block away), the concern deepens. As with any small town, people share meals, soccer matches, and school events; we seem, at most, one degree away from each other. So after tragedy was averted on Monday when two South Pasadena High School students were arrested because of the very real threat of a shooting attack on staff and students, a collective sigh of relief came from parents who realized how bad this could have been. Even the potential of what could have been shakes us up. A community is left stunned, relieved and thoughtful about what else lurks and how to avoid the worst of it in the future. 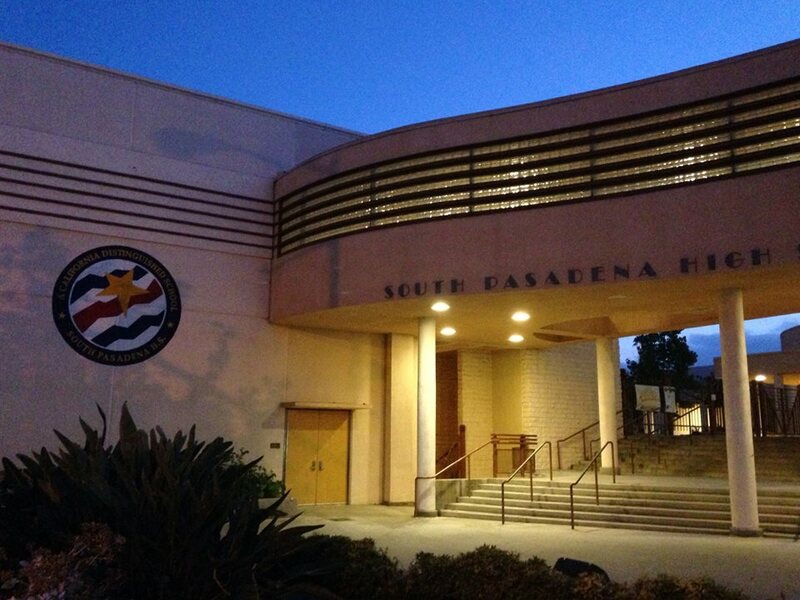 “I do believe that the culture of ‘community involvement’ in South Pasadena contributed to this being detected early. We are one big family looking out for each other, not afraid to speak out when something doesn’t look right,” says Gina Chang, parent of two elementary-aged children. A sense of gratitude was certainly felt among people. But many other feelings followed. The very thought of extreme violence makes people consider the policies and practices in place, refining safety measures and making them better. As a parent of children at the middle school and elementary school, this situation has caused my own family to talk about what may be considered “suspicious” and what to do in light of it. My kids mentioned that they didn’t want to “tattle,” so that lead to a discussion on what is and isn’t tattling. And each child responds differently, so parents need to be sensitive about how to discuss such topics. If you or your children have concerns regarding the recent threat, counselors will be available at all SPUSD schools. Though a stream of questions and thoughts bombard the brain of a parent in cases like this, the thread that unites us in this particular situation is our thankfulness to community members and authorities who kept this situation from turning into a nightmare. A prayer vigil will be held on Wednesday, August 20th, at 7:00 p.m. on the front lawn of St. James’ Episcopal Church, for students at all five South Pasadena schools. Throughout the school year, students learn best by experience. This is especially true of live creatures in the classroom; and I’m not talking about the kids. It’s good to study about the world from a book; but bring it to life to observe and touch and the learning increases that much more. In the same vein, my kids and I continue to “do.” Beyond going places, we also “do” at home. Currently we live in a zoo/laboratory, or so it feels like such. We have 2 spunky boys (Thing 1 and Thing 2), a bouncy dog (Bree), 2 hardy water frogs raised from tadpoles (Hop and Hoppity), soon to be released butterflies, ladybugs in their pupa stage and praying mantises in their habitat getting ready to live in our garden. And I must admit it involves a little money, a little time and a lot of fun. Living things can respond to your actions and sounds. They eat, have antics, poo, molt, hang upside-down and evolve. You can spend a day together and learn its habits. Now that’s education! In the South Pasadena elementary schools, we have rabbits, ducklings, chickens and turtles. Some teachers introduce their classes to hairy tarantulas that are fed live insects, frogs that are placed in makeshift ponds, and caterpillars that miraculously metamorphose into butterflies released to the skies. Even at the middle school, the library has two birds and an escape artist hamster. An assortment of insects and reptiles like snakes and lizards also find their way into our academic environment – it’s natural! When Colette Carbonare, a second grader at Arroyo Vista was asked what she learned about the ducklings, she said, “Whoever takes a duck has to take two because they get lonely.” Apparently this is a crucial element in a ducky’s social existence, but may not be fun for the “lucky” parent who gets to clean twice the mess. This brings us to the question: “where do all the creatures go,” now that the traditional academic season comes to a close? Like Pete Seeger’s old political folk song in the 60s “Where Have All the Flowers Gone?” the creatures come full circle. They get adopted into student’s homes everywhere. Teachers find they have new pets for the summer. And some get released into nature to continue the life cycle. 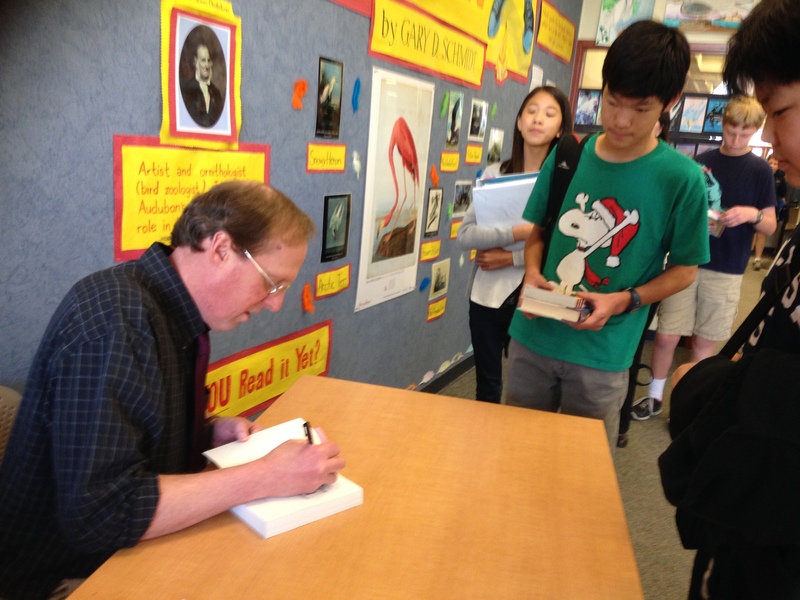 Wherever they go, somehow, when the new school year rolls around again, future generations of creatures find their way back into the classroom and into the minds and hearts of those fortunate enough to behold and enjoy them. To try some of these in your own home, borrow a pet from your child’s classroom for the weekend or summer. Or go to insectlore.com (for caterpillars/butterflies and ladybug larvae), fascinations.com (for an ant farm and praying mantises) and growafrog.com (for see-thru tadpoles). Or to keep the critters contained in a story, try a fun tale about “Humphrey,” life from the perspective of a classroom hamster. Whatever you do, make sure you “DO” something. Get out of your comfort zone and get dirty. Those precious years of wonder and discovery tend to fade over time. So don’t miss it! Have you ever watched an old movie you knew you liked, but couldn’t remember what it was about? Well I bought that movie recently at a thrift store and was so delighted to relive it, as if I had never seen it before. Honestly, even as I watched, I couldn’t remember what happened next! 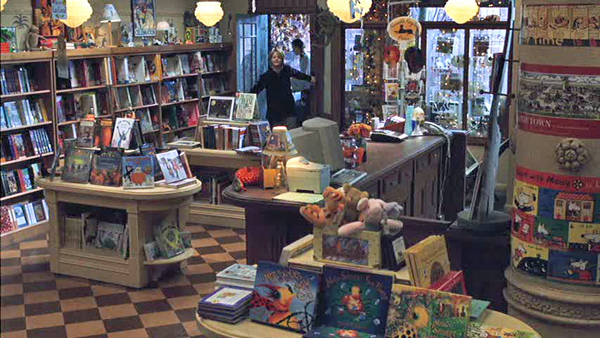 So because I was pleasantly surprised by it’s charm and surprised by a completely new way of seeing it with modern eyes, I’d like to revive a 16-year-old oldie but goodie: You’ve Got Mail. In our 126-year-old city, 16 years is hardly “old.” But as in “You’ve Got Mail” we, too, have a beloved children’s bookstore (with Toys too): The Dinosaur Farm, a seasoned business at 20-years-old this November and still standing proud. The days of AOL and the ancient dial-up tone via modem are all but gone. But at the heart of this good story, the gist lives on and still relevant today… the take-over of a super-power over a little guy’s business, the power of books, getting to know someone deeply through their words (online, through snail mail and otherwise), and “frienemies” who become more through forgiveness and kindness. Nora Ephron, the director, screenwriter, and all-around comedic/relational genius weaves together what some people might call a “predictable plot.” Yes, you know it’s going to be a happy ending. The guy gets the girl. All is well. But how she gets there is what’s so magical and endearing. And that’s the ride that is so worth the journey. The whole publishing industry is being turned upside-down by the way we read our books on tablets and download material that has never been touched by a professional editor. At first, those who love the feel and smell of quality words on printed paper were up in arms. This new turn was a travesty! To many, it still is. But with more regularity now, the industry is learning to roll with the punches and trying to evolve well. Newer and bigger, albeit often more impersonal, business inventions are inevitable. So as Tom Hanks’ and Meg Ryan’s characters discover, we, too, can stay true to our better selves, and turn our enemies into friends and find love along the way… whether it be in business, in relationships, an obscure book or an old movie. As numb fingers and eyes droop in weariness, a lively spirit keep volunteers going through the night and into the following year… year after year as another self-built float for the Rose Parade receives its finishing touches. The volunteers are the key ingredient in the self-built floats. “Exhausted and exhilarated, it’s [a] sweet taste of accomplishment and pride,” says Greg Lehr, Director of the Rose Float Program at Cal Poly and involved with float building since 1988. Civic-minded helpers work year-round with members of the same community, all for one special day: January 1. 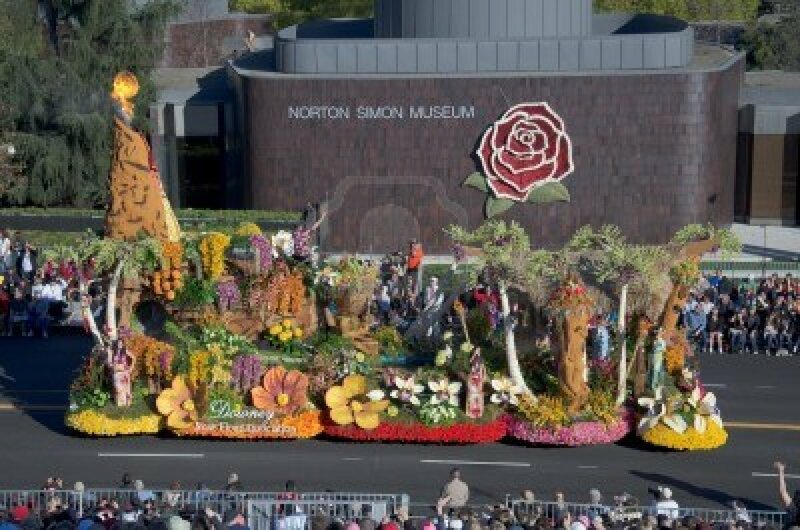 Since the inception of The Pasadena Tournament of Roses and their first parade in 1890, local flora have adorned floats, carriages, vehicles, animals and people going down Colorado Boulevard. At the heart was a desire to showcase Southern California’s idyllic Mediterranean climate; and through tireless community members, the world continues to get a taste. 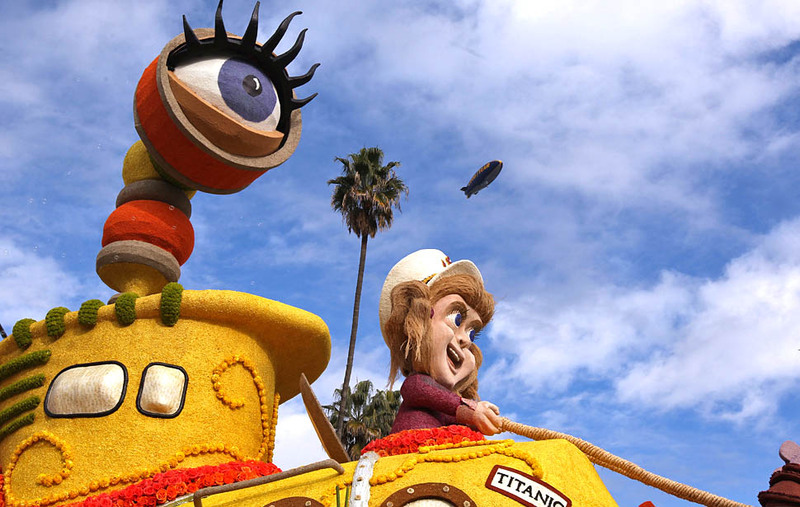 This small-town tradition continues in the 6 self-built floats: Burbank, Cal Poly Universities, Downey, La Cañada Flintridge, Sierra Madre and South Pasadena. Among the roughly 45 floats in each of the recent parades, the “self-builts” are dubbed as such because the entire project is driven by volunteers and donations. The price tag of a professionally-built float could be roughly $300,000 on up, but most of the self-builts stay in the $50,000-$100,000 price range. No one is paid to come up with the concept of the float. Usually there is a contest to pick the winning design. A handful of energetic volunteers fundraise all year long to cover the cost of materials. Community members donate their skills to help shape and weld the pencil steel that creates the skeleton. And hundreds of decorators for each float, mostly from “deco week” (the day after Christmas until the morning of Jan. 1) labor free of charge at all hours. The know-how to create a traveling and animated work of floral art is passed down from one committed volunteer to the next, through trial and error and the sharing of knowledge. “Even though we compete against each other, it’s a friendly competition between the self-builts. We all help each other. If someone is ahead of schedule and [we’re] behind, they’ll help [by sending over volunteers]… Even if you run out of flowers, other self-builts are willing to share [their extras,]” says Bonnie Colcher, a volunteer for 11 years and Volunteer Coordinator of the Sierra Madre Rose Float Association. The self-builts compete with the professionals for all the awards, but one recognition is especially for them, the ‘Founder’s Trophy’ for most beautiful entry built and decorated by volunteers from the sponsoring community or organization. And though the parade is not simply about getting awards, it’s certainly nice to be recognized for the particularly huge task for the self-builts. “We’re all in this to make a better parade for everybody, professionals included.” Paul Abbey, volunteer since 1999 and President/Chairman of the South Pasadena Tournament of Roses comments about a time their float was damaged in a fire and a professional float builder, Fiesta Floats, helped by providing a facility and additional people who could get the job done. But in the end, to see what was so meticulously cared for over a year, traveling the 5 1/2-mile route on New Year’s Day, makes all the hardships worth it! As Downey’s float makes its way to Pasadena, “Our city cheers us on. The people on the streets clap for us; and you feel so proud to be a part of something great,” says DeRemer. Robert Hutt, volunteer for 12 years, currently in charge of Public Relations and past President of the Burbank Tournament of Roses Association, comments on what drew him in. “At first, I wanted to learn how to weld. [But it] took about 5 years before I got into the construction part.” Often, volunteers must learn about nuances of float building before wielding heavy tools. Recent awards include: Fantasy Trophy (2013) and Mayor’s Trophy for most outstanding city (2012). Cal Poly’s float is unique even among the self-builts as the only one that’s not a city and is student-centered. The students “have the ingenuity that paves the way…We were the first to have animation (moving parts) and fiber optics… These students love it. They live it. If you cut their veins, it would leak hydraulic fluid. I’m very proud of them,” comments Lehr. The float is also built on two campuses and brought together in late October. Pomona is in charge of the animation while San Luis Obispo takes care of the float propulsion or drive system. Recent awards include: Bob Hope Humor Trophy (2013) and Fantasy Trophy (2011). The Downey Rose Float Association first entered the parade in 1913. This year, their entry is titled “The Glass Slipper,” which is more elegant than animated. “We are teaching people how to weld, order flowers and pick [appropriate ones]. 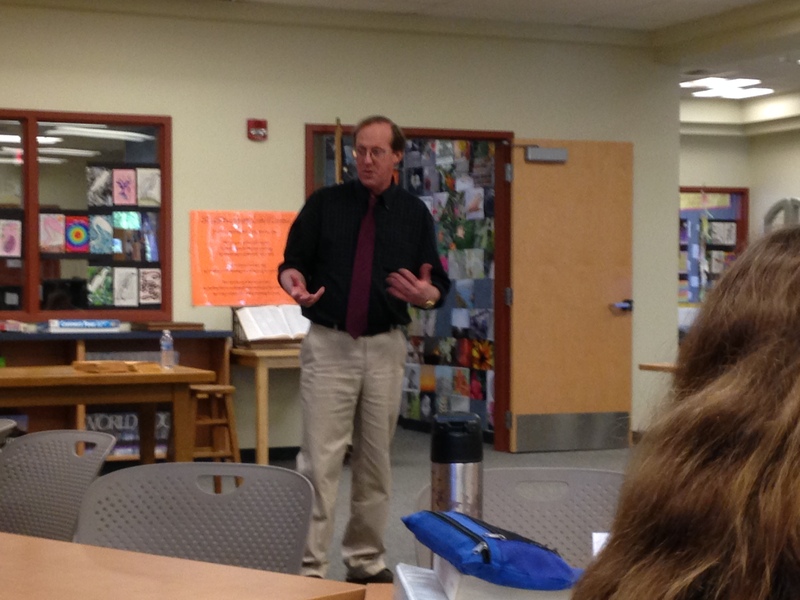 Some of our people become florists…” says DeRemer. And to raise funds for their float, they sell tacos and have concerts in the park, sponsor casino nights, and put on car washes. Recent awards include: Founders Trophy (2012) and Lathrop K. Leishman Award for most beautiful entry from a non-commercial sponsor (2011). As for participation, people from all over the foothills join-in. “Local high school students enjoy their winter vacation days doing something different and find float decorating a fun community-service activity,” says Pounders. Recent awards include: Animation Trophy (2013) and Bob Hope Humor Award (2012). Recent awards include: Governor’s Trophy for the best depiction of life in California (2011 and 2010). Recent awards include: Founders’ Trophy (2013) and Fantasy Trophy (2012). 5 AM. There was a biting chill in the air at the edge of a wood-planked pier on Catalina Island. But fighting against common sense, I dove into an even more frigid Pacific. Every nerve ending was jolted to attention as a rush of exhilaration forced my limbs to move, propelling me toward the sandy shores of Camp Fox. What would compel me, a kid more than 30 years ago, to go “polar bearing?” Peer pressure? Maybe. Stupidity? Probably. The pure rush of mad fun? Most definitely. It was summer. I was at camp. And I was going to make the most of my week away from my parents. The expectation of making new friends, enjoying nature and having fun was a given. Little did I know that I would also be educated there: learn new skills, build self-confidence and be inspired to become a better person. This masked learning occurred with each successive camp, whether it was a traditional outdoor activity camp, Girl Scout camp, gymnastic camp or church camp, I grew, transforming for the better. And for the last 152 years, children in America have been experiencing the multi-faceted thrill of overnight camps. In the 1870s, the Gunn’s continued camp at Lake Waramaug. In 1874, the YWCA (Young Women’s Christian Association) opened a camp for girls who needed rest from their non-stop working conditions, while a couple private camps sprang up in 1876 and 1881. The YMCA (Young Men’s Christian Association) in New York opened Camp Dudley in 1885, the longest continually operating camp in the United States. By 1902, Camp Kehonka for girls was founded in New Hampshire by Laura Mattoon, teacher and creator of bifurcated clothing for girls so that they could move more freely outdoors. The LA YMCA started its first summer resident camp in 1912. In 1914, after the South Pasadena YMCA (later adding San Marino to its name) was founded, campers from the new Y joined the LA camp. In addition to traditional camp activities like horseback riding, kayaking, archery and a ropes course, unique to the Y’s camp is the rag program of setting personal goals, which also began in 1914 by Thomas Caldwell. In 1910, the same year Boy Scouts of America and Camp Fire USA began, Alan S. Williams founded the Camp Directors Association of America, known today as the American Camp Association (ACA), standardizing camp quality for safety, staffing, health and programming. The ACA helped take camps to a new level of excellence. “Educators are at the core of the camp community, professionalizing the field and raising the professional caliber,” said Peg Smith, CEO of the American Camp Association. Today, there are nearly 200 overnight camps in California (162 are ACA accredited) and close to 2000 nationwide (1,636 are ACA accredited). That’s more than 14,000 sessions in all! 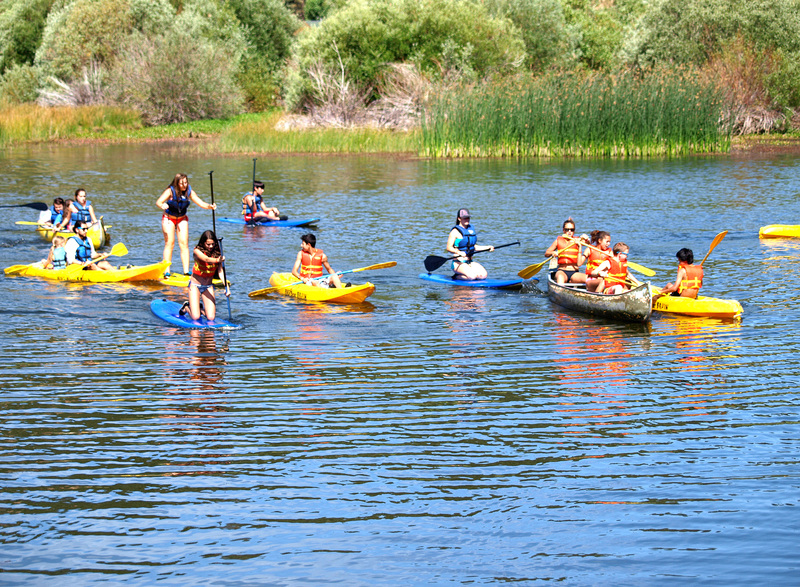 Along with local traditional camps, like Catalina Island Camps (since 1922) and the YMCA’s Camp Whittle (since 1958), there are also popular interest group camps like Camp Cherry Valley on Catalina Island for Boy Scouts (since the 1920s), Winacka Girl Scouts camp in San Diego (since 1974) and a nondenominational Christian camp at Forest Home in Forest Falls (since 1938). Currently, the colorful palate of sleep-away camps is mind-boggling. One can choose among an in exhaustive list of camps centered on: every imaginable sports activity, art, science, language and cultural experiences. There are even technology camps that focus on computers, programming, iPads, iPhones, gaming and game design (internaldrive.com); then to rehabilitate from too much technology use, there’s a ranch and rustic living camp (jamesonranchcamp.com). Some unique experiences include: secret agent, girl power, Hollywood stunt, rock star, flying trapeze, extreme action, fashion, DJ, broadcast, culinary camps and more (paliadventures.com). Or if astronomy and space exploration are a passion, there’s Astro Camp (guidediscoveries.org). I don’t remember all the things I did at the many camps I attended, but I do remember my awe of nature, a force bigger than myself. I remember the people and how they influenced the way I felt about myself. There were crazy fun counselors who did ridiculously silly things like rinse into a cup only to pass it on for the next counselor to do the same. There were campers who told scary stories about bores that would gore us in the night if we stepped out of our cabins and bees that could spit blinding poison into eyes. And there were “friends” who made me ask a boy to dance, leaving me humbled by the trauma of it even now. I learned silly songs I can still recite perfectly today. I relaxed on logs, doing nothing but cultivate deeper friendships. The saturated weeks I spent with people proved to draw them closer than years of casual interactions. And if they asked me again to jump into ice-cold waters in the middle of the ocean, I just might do it. Special thanks to Stephanie Yuen at the South Pasadena/San Marino YMCA and Kim Bruno at the American Camp Association for contributing to this story.